Duncan Channon has launched it's first creative campaign for Upwork, the world's largest freelance website. 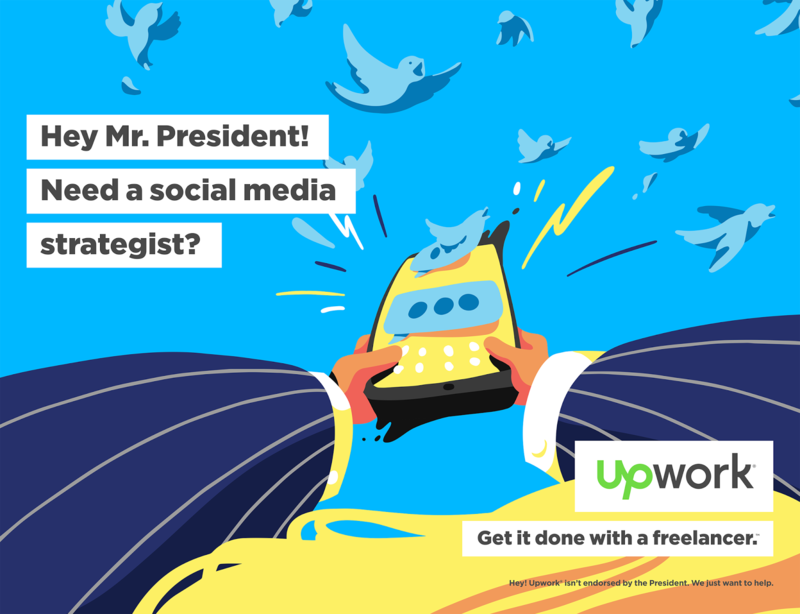 In its new “Hey World” campaign, Upwork playfully raises its hand to offer freelance help to time-strapped or resource-strapped pop culture figures, business icons, institutions and political leaders - among them President Trump, Dwayne “The Rock” Johnson, Game of Thrones author George R.R. Martin, Equifax and NASA. The campaign -- which brings to life the idea that Upwork freelancers are ready to help get stuff done for people who get stuff done -- is the first by Upwork’s new creative agency Duncan Channon. The campaign launches at a time when freelance workforce growth is outpacing overall U.S. workforce growth by 3x since 2014 and companies of all sizes are rethinking the way they source talent.